This holiday home is located in scenic Neukirchen at the Grossvenediger and has 10 bedrooms for a total of 26 people. The rooms will present you with the comfort and famous Salzburg cosiness typical of the region. In the winter you have the cross-country tracks directly in front of the door and for alpine skiers, this region is ideal, the Wildkogel ski area is just 3 kilometres away and the Zillertal Arena is 13 kilometres away. You have the entire first and second floor of this holiday home, and thus have plenty of space to make your stay unforgettable. 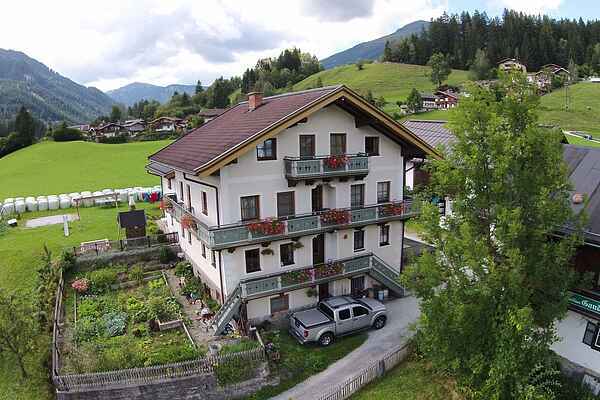 From the house you have a breathtaking view of the Hohe Tauern national park. This accommodation is very family friendly and in addition to a trampoline, has a swimming pool which can be used from May - September. Throughout the summer you can round off your holiday by playing table tennis and using the swings. In addition, there is a BBQ grill for you to use in the garden. The bus stop is not far from the house, so excursions are easy to organize.